Minecraft 102 - Modding with MakeCode - Kodeclik - Coding for kids and teens! Minecraft is a sandbox video game where players navigate a 3D computer generated world. It is open ended where players pursue a variety of goals such as exploration, building, combat, and survival. Originally created by the game programmer Markus Persson, Minecraft was developed into an elaborate gameplay system by the Swedish company Mojang. Mojang was later acquired by Microsoft in 2014 which helped create new versions such as Minecraft: Education Edition (for students, teachers, and schools) and new visual programming extensions such as Microsoft MakeCode (to program Minecraft). In this course, we will use MakeCode to write Minecraft mods and alter the behavior of Minecraft in fun and interesting ways. Students are expected to know how to construct and navigate Minecraft worlds. Minecraft software is constantly updated and stay tuned to this page for any version restrictions and requirements. 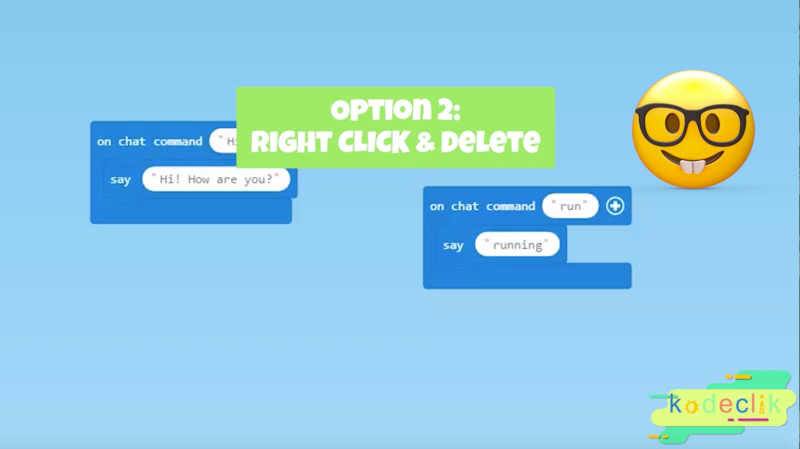 This course requires a Minecraft version compatible with Microsoft’s MakeCode visual programming environment and with Microsoft Code Connection (that interfaces between Minecraft and MakeCode). For this purpose, we recommend the use of Minecraft for Windows 10 (paid version) or Minecraft: Education Edition. Once Minecraft is installed, Code Connection (and MakeCode) is freely available for download. All necessary instructions and video tutorials are included in the course. A desktop or laptop running Windows 10 (or later) is recommended. A web browser such as Google Chrome, Microsoft Internet Explorer, or Mozilla Firefox is recommended for downloads.